Advent is here! That blessed season of waiting with eager anticipation to celebrate Jesus’ birth. I grew up in a traditional, liturgical church that followed the rhythms of the church year calendar. Advent was always one of my favorite seasons. I’m no longer in a liturgical church, but I still long for the holy pause that is Advent. The weeks leading up to Christmas tend to be frenetic and stressful if we don’t pause once in a while to remember who it is we are gearing up to celebrate. Take away the shopping lists, the holiday parties, the cookie making, and the out-of-town relatives, and what you have left is a baby in a manger. A baby who is God with us. The cool thing about the season of Advent is that it’s totally kid-friendly. Advent is a countdown to Christmas. It’s exciting to check off the days and weeks before Christmas is here! Advent has a lot of sensory elements that appeal to kids too, such as the warm flames of Advent candles and the blue color of the season. And kids know what it’s like to wait for something. And wait. And wait. That’s what Advent is all about. Waiting. Waiting to celebrate Jesus’ birth. Waiting like the people of Israel waited for a Messiah. Waiting like we continue to do for Jesus to come again. There are plenty of ways to commemorate Advent as a family. When I was a kid, my family did devotions almost every night together. We would read a story from a kid’s story Bible or from a family devotion book, and pray together. During Advent, these devotions took on a different flavor. Our family Advent wreath was usually the first “decoration” of the holiday season to come out of the box. Mom would go hunting around town to find tapered blue or purple candles. Each night we would light the Advent wreath—one candle each for the week of Advent we were in—while we did a special Advent devotion together. There’s something about a flame that creates a holy space. Those were sacred moments. By the time Christmas arrived, our hearts were prepared to celebrate not just a pile of presents, but also the presence of God in baby Jesus. Here are some simple ways to get started. If you aren’t in the habit of doing family devotions together, consider starting this week. It could be as simple as gathering one time a week as a family, or as often as once a day over breakfast or before bed. 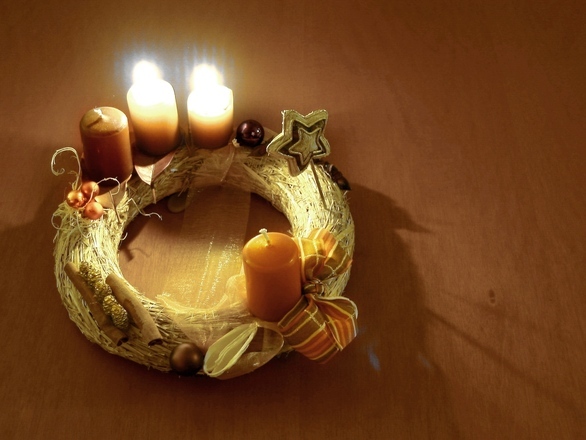 Get an Advent wreath, or make one with 4 candles and a circle of garland. Read the prophesies of Jesus’ coming from the Old Testament prophets or the angels’ visits to Mary, Joseph, Elizabeth, and the shepherds. If your kids are young, consider reading from The Whirl Story Bible or The Spark Story Bible. Watch a short video from “Leo and Ada’s Inspired Christmas Adventures.” You could even make a Jesse Tree or related ornaments. A Jesse Tree is a decorative tree used during Advent to retell the stories of the Bible that lead to Jesus’s birth. There are lots of tutorials online about how to put one together, or you can buy one pre-made. Take a holy pause with your family this Advent. Light your candles in the darkening days of winter. Point toward the Light of the World who has come to be with us on Christmas. The weeks before Christmas don’t need to be as stressful as we make them. Use this Advent season to find peace and stillness in an otherwise hectic world. Does your family already have an Advent tradition? We’d love to hear your story! 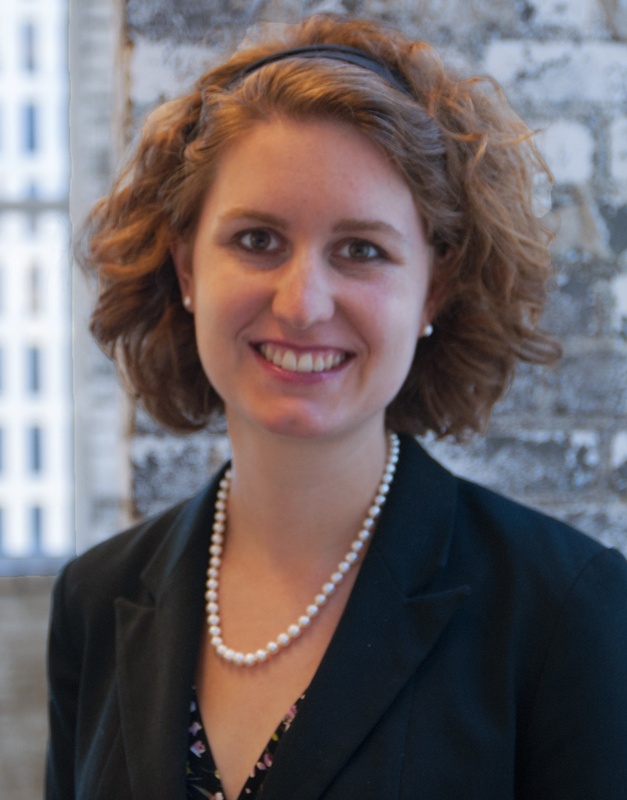 Naomi is an acquisitions editor at Beaming Books, the children’s book imprint of 1517 Media. She also volunteers on the board of directors for a local refugee resettlement agency and is on the leadership team of a multicultural church plant in Saint Paul, with many members whose parents came to the U.S. as refugees.